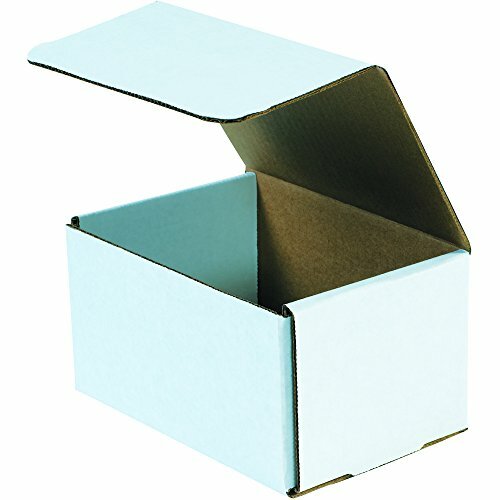 Aviditi corrugated box. 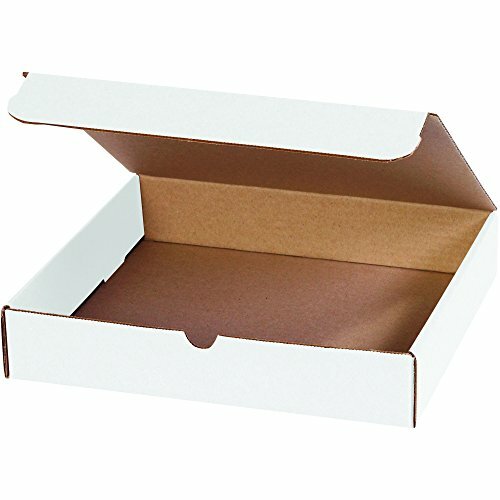 White boxes present a quality look to your shipments. Applied labels and special shipping instructions stand out against the crisp white background. Preserve shipment appearance by sealing white boxes with clear carton sealing tape or white paper tape. Measures 12-inches length by 10-inches width by 8-inches height. Oyster white color. Aviditi white box present a quality look to your shipments. Same strong 200#/ECT-32 construction as regular kraft. Applied labels and special shipping instructions stand out against the crisp white background. Preserve shipment appearance by sealing white box with clear carton sealing tape or white paper tape. Measures 10-inches length by 10-inches width by 10-inches height. Aviditi white box present a quality look to your shipments. Same strong 200#/ECT-32 construction as regular kraft. Applied labels and special shipping instructions stand out against the crisp white background. Preserve shipment appearance by sealing white box with clear carton sealing tape or white paper tape. Measures 10-inches length by 8-inches width by 6-inches height. 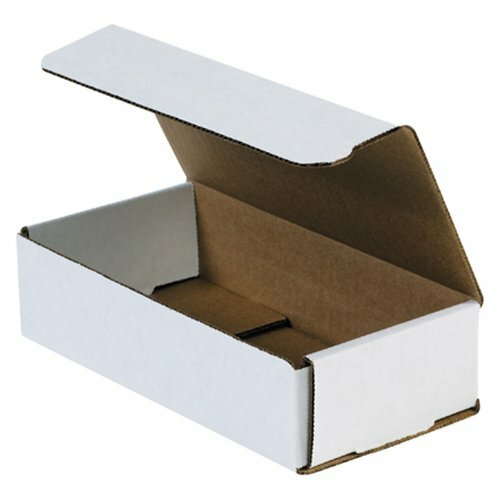 10 x 7 x 4" White Corrugated Mailers. Corrugated Mailers are super strong yet light-weight to save on postage. Perfect for shipping small, light-weight fragile items. Corrugated Mailers are manufactured from 200#/ECT-32-B white corrugated. Crush resistant mailers fold to provide double walls of protection on front and sides. No tape, glue or staples needed. Proudly made in the USA! 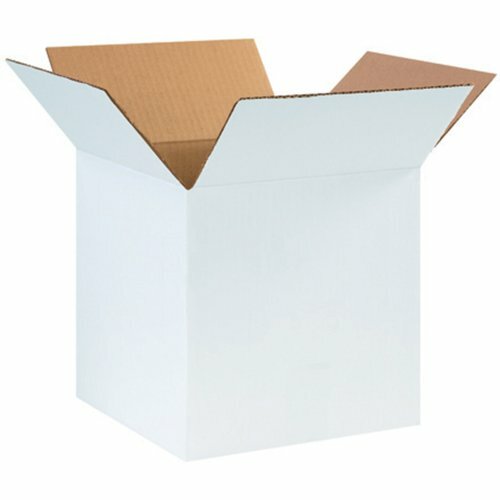 10 x 8 x 6" White Corrugated Mailers. Corrugated Mailers are super strong yet light-weight to save on postage. Perfect for shipping small, light-weight fragile items. Corrugated Mailers are manufactured from 200#/ECT-32-B white corrugated. Crush resistant mailers fold to provide double walls of protection on front and sides. No tape, glue or staples needed. Proudly made in the USA! 10 x 8 x 3" White Literature Mailers. The perfect fit for your literature piece without the expense of a custom carton. Assembles in seconds without tape, glue or staples. Strong 200#/ECT-32-B white corrugated construction. Proudly made in the USA! 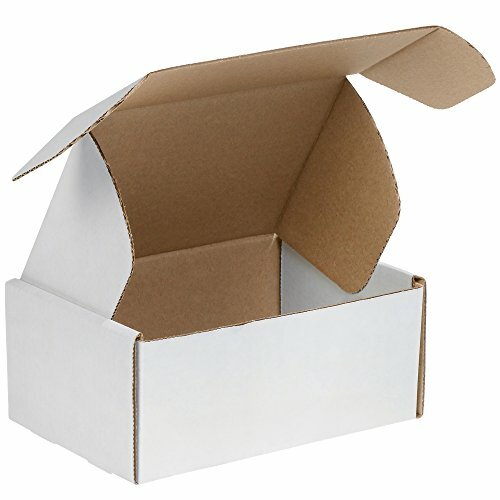 Aviditi corrugated box. 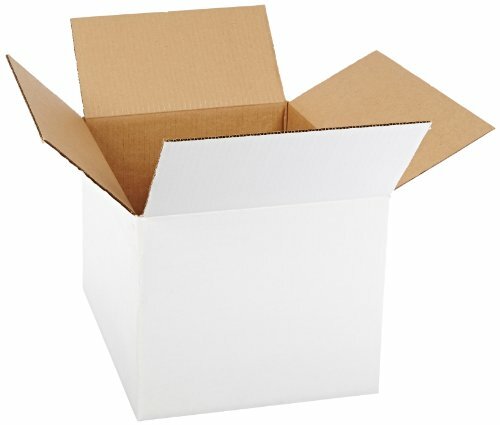 White boxes present a quality look to your shipments. Applied labels and special shipping instructions stand out against the crisp white background. Preserve shipment appearance by sealing white boxes with clear carton sealing tape or white paper tape. Measures 12-inches length by 12-inches width by 10-inches height. Oyster white color. 13 x 10 x 2" White Literature Mailers. The perfect fit for your literature piece without the expense of a custom carton. Assembles in seconds without tape, glue or staples. Strong 200#/ECT-32-B white corrugated construction. Proudly made in the USA! 12 x 10 x 4" White Deluxe Literature Mailer. Feature protective side flaps and front outside tuck closure. Maximum protection for your most important documents. Manufactured from strong 200#/ECT32-B white corrugated. Assembles in seconds without tape, glue or staples. Proudly made in the USA! 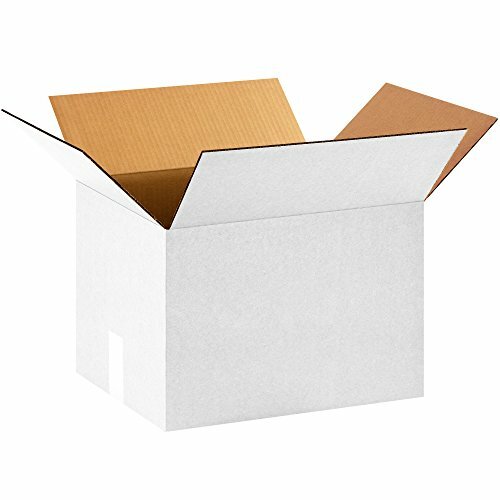 15" x 12" x 10" White Corrugated Boxes. Have your product stand out and get noticed. Applied labels and special shipping instructions stand out against the crisp white background. Preserve shipment appearance by sealing white boxes with clear carton sealing tape or white paper tape. Same strong 200#/ECT-32 construction as regular Kraft cartons. Sold and shipped flat in bundle quantities. 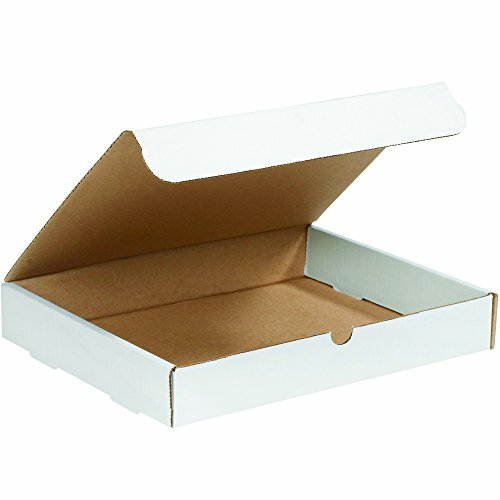 12 1/8 x 9 1/4 x 3" White Corrugated Carrying Cases. Use these easy-to-carry cases when you are on the go. Great for transporting products, promotional materials, samples or literature. One-piece die cut design folds together in seconds without tape or glue. Manufactured from strong 200#/ECT-32-B white corrugated. Plastic handles insert into folded case and are included with each bundle. Proudly made in the USA! 13 x 10 x 4" White Literature Mailers. The perfect fit for your literature piece without the expense of a custom carton. Assembles in seconds without tape, glue or staples. Strong 200#/ECT-32-B white corrugated construction. Proudly made in the USA! 13 x 10 x 1 1/4" White Literature Mailers. The perfect fit for your literature piece without the expense of a custom carton. Assembles in seconds without tape, glue or staples. Strong 200#/ECT-32-B white corrugated construction. Proudly made in the USA! 11 3/4 x 10 3/4 x 2 1/4" White Literature Mailers. The perfect fit for your literature piece without the expense of a custom carton. Assembles in seconds without tape, glue or staples. Strong 200#/ECT-32-B white corrugated construction. Proudly made in the USA! 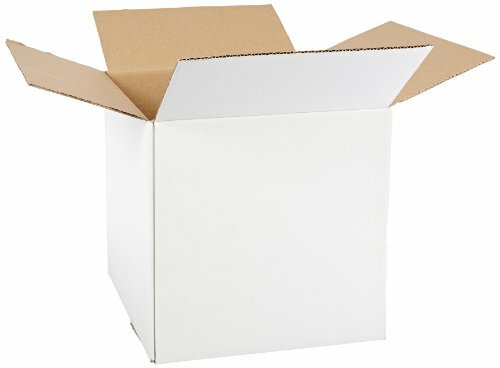 10" x 8" x 6" White corrugated boxes. Have your product stand out and get noticed. Applied labels and special shipping Instructions stand out against the crisp White background. Preserve shipment appearance by sealing White boxes with clear carton sealing tape or White paper tape. Same strong 200#/ect-32 construction as regular kraft cartons. Sold and shipped flat in bundle quantities. 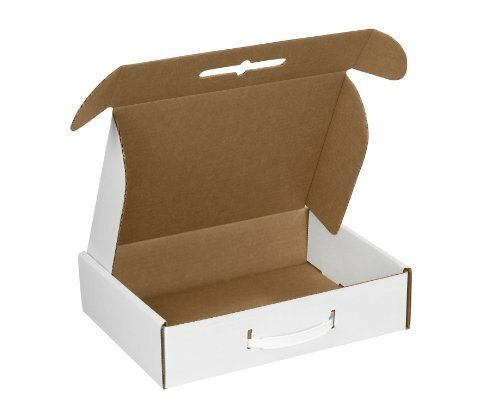 White sturdy carryout box with window. Can be recycled or composted, one time use. 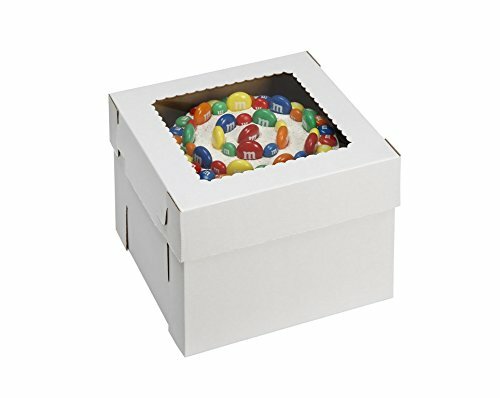 Sturdy carryout box. 10" x 10" x 8". 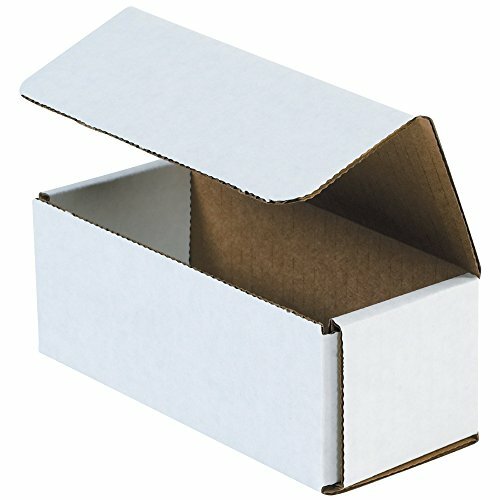 8 x 4 x 2" White Corrugated Mailers. Corrugated Mailers are super strong yet light-weight to save on postage. Perfect for shipping small, light-weight fragile items. Corrugated Mailers are manufactured from 200#/ECT-32-B white corrugated. Crush resistant mailers fold to provide double walls of protection on front and sides. No tape, glue or staples needed. Proudly made in the USA! 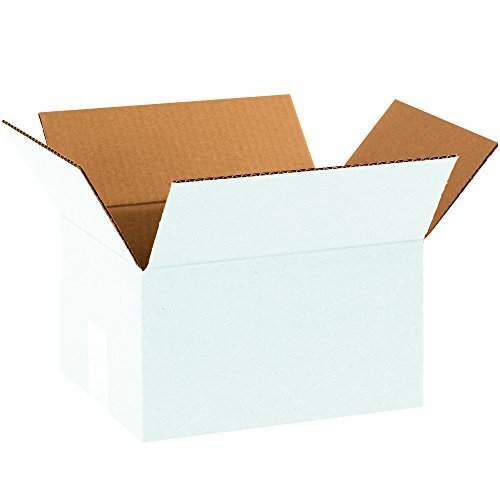 Aviditi corrugated box. 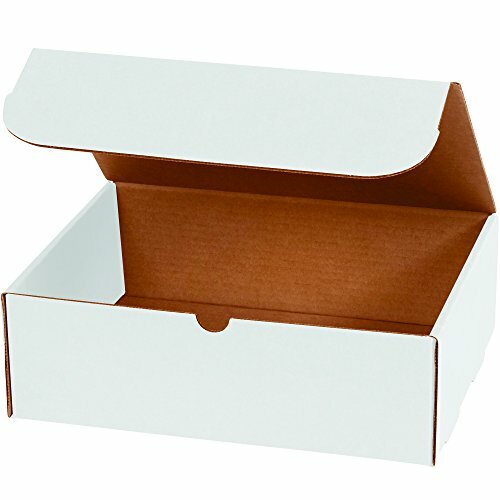 White boxes present a quality look to your shipments. Applied labels and special shipping instructions stand out against the crisp white background. Preserve shipment appearance by sealing white boxes with clear carton sealing tape or white paper tape. Measures 12-inches length by 12-inches width by 12-inches height. Oyster white color. 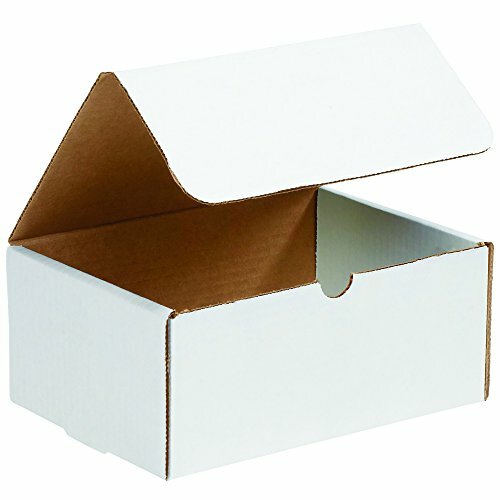 10 x 6 x 4" White Corrugated Mailers. Corrugated Mailers are super strong yet light-weight to save on postage. Perfect for shipping small, light-weight fragile items. Corrugated Mailers are manufactured from 200#/ECT-32-B white corrugated. Crush resistant mailers fold to provide double walls of protection on front and sides. No tape, glue or staples needed. Proudly made in the USA! 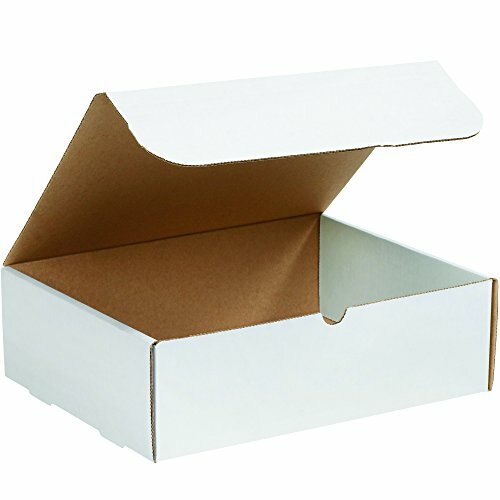 10 x 7 x 6" White Corrugated Mailers. Corrugated Mailers are super strong yet light-weight to save on postage. Perfect for shipping small, light-weight fragile items. Corrugated Mailers are manufactured from 200#/ECT-32-B white corrugated. Crush resistant mailers fold to provide double walls of protection on front and sides. No tape, glue or staples needed. Proudly made in the USA!